Do any pop bands write political songs anymore? One might think that in this day and age there would be at least one or two new Billy Braggs with the ability to mix pop and politics. Is everyone afraid to take a trip down the Che Guevara Highway for fear of not selling records in red states? Surely there are a few singers still out there that have an opinion and enough conviction to sing about it. Well, there’s at least one. Finland’s Cats on Fire return with their third album and on it is one of the best political songs I have heard since the Great Leap Forward. 1914 and Beyond chronicles Europe beginning with World War I to the continent’s current state and the European Union’s present-day near collapse. It is set to sad waltzing piano with clear lyrics set to just enough melody to get your attention in case you weren’t paying attention. Once you are, it gets dark, very dark, but it’s totally appropriate for theses tough financial times when old prejudices and hatreds come to a boil after the good times come to an end and money runs out. All black Shirts to me is not all political, but its title indicates singer Mathias Björkas dour outlook. He’s often been compared to Morrissey, and he still has a delivery that recalls the Moz, but he also has a melancholy that brings to mind Terry Hall and some of the spite in his voice that reminds me of the Auteurs‘ Luke Haines. He certainly knows his way around a melody like those fellows. Songs like It’s Clear Your Former Lover, A Different Light and first single A Few Empty Waves are seemingly delicate things, but show their strength on repeated listening. Björkas is the focal point of the band, but this album also sees the band expanding its sound. They’ve added a fifth member Iris Viiljanen on Keyboards and have a new drummer in Yrjö Ylijoki. The keyboards add a subtle new dimension and while there really aren’t any upbeat songs as on previous albums, the arrangements are much more lush sounding and interesting which makes All Black Shirts To Me a real winner and possibly Cats On Fire’s finest record yet. Order up a copy of Cats On Fire’s All Black Shirts To Me from Matinée Recordings. It’s another Saturday morning, so time for another dose of jangle-pop. Last week it was Austin’s Literature. 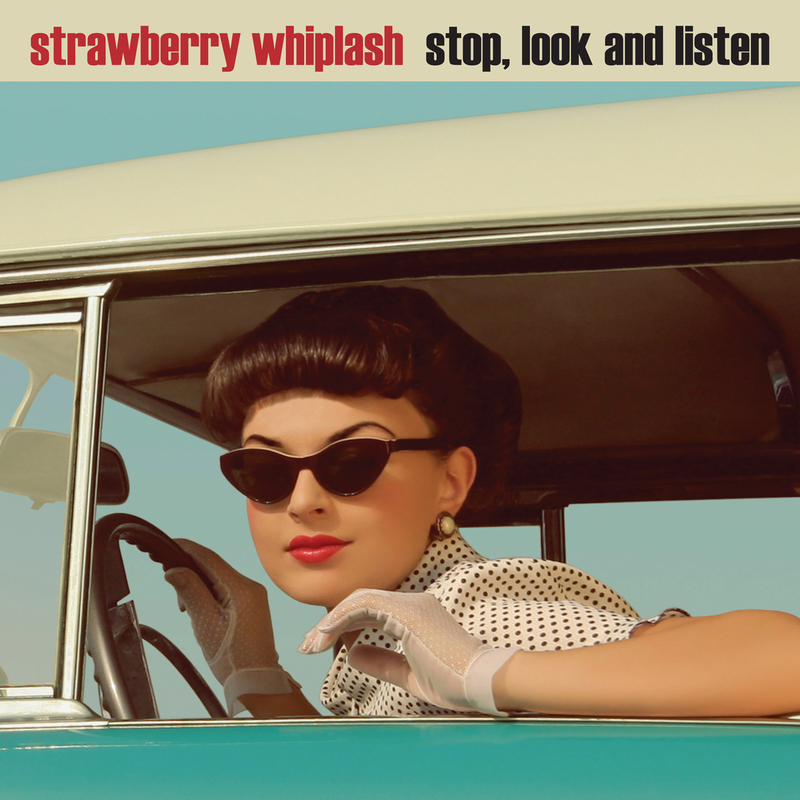 This week we go a few thousand miles to the upper right for the new single from Glasgow’s Strawberry Whiplash. It comes in the form of a 7-inch single for better aural absorption. The A-side Stop, Look and Listen is another slice of sugar coated jangle from the band, harvested from the same cane fields as early Primitives and Darling Buds records. The single serves as a preview of their upcoming album Hits In the Car and comes with two exclusive B-sides,the gentler In the Blink of an Eye and the chugging Luck Is The Residue Of Design, to further tempt you to part with your hard earned cash. My big complaint about bubblegum as a kid was that Bubble Yum, Hubba Bubba and Bubblelicious all tasted great at first but they never had any staying power. After five minutes in your mouth all the sugary sweetness was gone and rubber bands had taken its place. Scottland’s Bubblegum Lemonade have no such problem on their second album intuitively called Sophomore Release. Somehow they’ve come up with a recipe where the sugary sweetness that initially hits your pallet lasts and lasts. 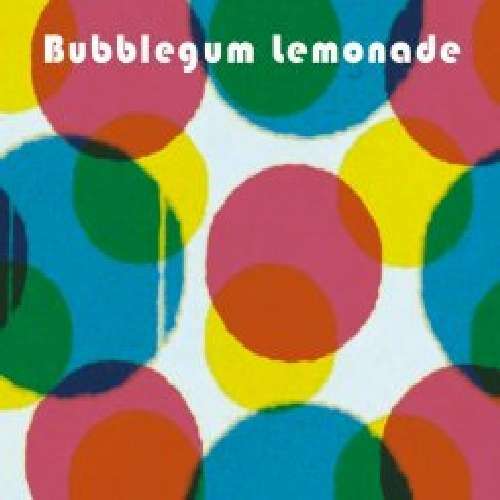 Called modern pop revivalists, Bubblegum Lemonade revive Biff Bang Pow, Teenage Fanclub, touches of Darklands era Mary Chain, and even humorously reference Aztec Camera in the song We Could Send Emails. The single Caroline’s Radio made my top 40 of the year and it shows up as track one to pull you into the album, and then one man band Laz McClusky goes onto beguile your ears for eleven more songs with generous use of his 12 string Rickenbacker that rings, buzzes and jangles through these 12 songs. He knows about pacing and mixing things up though, varying the instrumentation with glockenspiel, acoustic guitar, wood blocks and harmonies. As I’ve listened to this quite a lot over the last couple weeks, the subtleties have slowly made themselves apparent like the beautiful watery Moose-like guitars on Autumn Sky and the way You Only Leave Twice sneaks itself into your head with it’s melody and flamenco guitar solo. Bubblegum Lemonade’s Sophomore Release has long lasting flavor, so much that I bet if I stick it on my bedpost it won’t lose it’s flavor overnight. Something had been missing from the Seattle scene for the last few years, but I couldn’t quite put my finger on it. 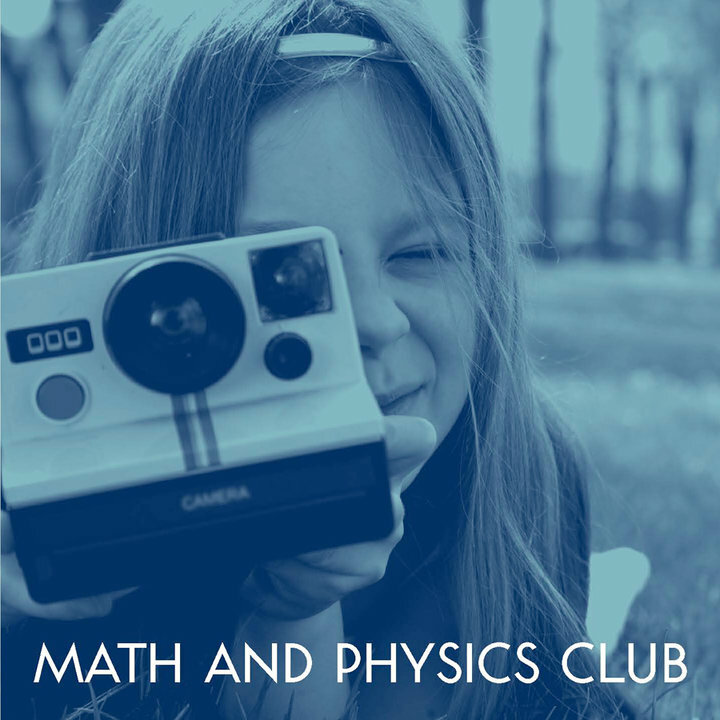 I realized right after hearing the warm chiming guitar that begins their new single Jimmy Had a Polaroid that it was Math and Physics Club. Bucking the no/lo trend and keeping with a softer and smoother side of things they keep your attention with attention to detail like those chiming guitars I mentioned and a supple melody supplied by Charles Bert. The song evokes a nostalgic euphoria of some beautiful adolescent summer afternoon spent in company of best friends and pretty girls. Math and Physics Club are so good at songs that make you happy and sad at once, and this one does exactly that. The band have been on a hiatus since their 2007 EP Baby I’m Yours, and have pared their ranks, losing their violin player Saundrah Humphrey to Denmark, and Drummer Kevin Emerson to his own busy schedule, but they haven’t lost their sublime pop hooks. Jimmy Had a Polaroid is the first single from their upcoming second album entitled I Shouldn’t Look As Good As I Do out next month. Their label Matinée has decided to commemorate the return of the sole American band on the their roster with a glorious 7″ single with an exclusive B-side The Sound Of Snow. You can order up copies of the 7″ and the album from Matinée. Are you feeling a little dirty from listening to too much garage, punk, and lo-fi? Well come on in, wash your greasy hands, take off your overalls and come into the parlour where the fire crackles and the hi-fi hums. Don’t be put off by the smooth sounds coming out of the speakers or the tea and crumpets. Try to refrain from demanding a PBR and have a spot of tea and a listen to Northern Portrait‘s new album Criminal Art Lovers. The songs are all Rickenbacker fueled jangling beauties, and Stefan Larsen with his smooth tenor croon sounds like he is half Morrissey and half Frank Reader (Trashcan Sinatras). Dear reader you must know that one can’t live on adrenaline charged shouted choruses alone. Even if you think that you don’t need it, one listen to Northern Portrait’s debut will slip you into billowy haze of feathers and cause you to daydream of picnics in fields of daisies, or bicycling on the beach at sundown (or maybe it’s the tea). Your life may not be such that those kinds of things are common day occurrences, but surely a kid can dream can’t he? How do you get to that daisy field, or sitting room with the crackling fire, or the breezy beach at sundown you may ask? It’s quite simple actually, more tea and Northern Portrait’s new album can take you there. Lately I’ve been on this Primitives, Darling Buds, Rosehips kick. The last couple summer months if you’d have been over, you more than likely would have been subjected to the sweet sounds of fuzzy guitars that jangle a little and sweet vixen croons from the likes of Tracy Tracy, Andrea Lewis or Yoland. All of those bands were circa C-86, with the Primitives and Darling Buds going on a bit longer making records into the early 90’s, but largely that sound has been in hibernation since then. Sure the Manhattan Suicides and the Vivian Girls kinda sound like them, but neither was as polished or overtly poppy as their late 80’s predecessors. Luckily someone has seen fit to put together a band that puts a femme fatal singing on top of the buzz and jangle of a Rickenbacker. That someone is Laz McLuskey of Bubblegum Lemonade and his side project Strawberry Whiplash. Their second EP has just been released by Santa Barbara indiepop purveyors Matinée Records. Laz is joined in Strawberry Whiplash by Sandra who plays the role of Femme Fatal to Laz’s Fred MacMurray. Don’t worry, there’s no film noir ending where someone dies and someone goes to prison. It all ends happily, albeit too soon on their new four song EP Picture Perfect. If you are a Trashcan Sinatras fan, then you probably were pretty psyched when they came out of hiding a few years ago with an excellent new album and a tour of the States. Well it’s been a while and if you’re like me you are probably growing impatient for the next Trashcan Sinatras album. I think Northern Portrait got tired of waiting and formed their band with a sound that is very reminiscent of that Scottish band. When I first heard Northern Portrait, I was caught by how jangly and catchy their first song Crazy was. It had the jangle of the Smiths‘ this Charming Man or Cemetry Gates, with vocals that had a bit of Morrissey in them. But being a Trashcan Sinatras fan, I can’t get over the similarities of these two bands, right down to their clever lyrics. Northern Portrait are pretty new, they got together last summer and are based in Copenhagen, Denmark. All three guys were previously in other bands, but from the sounds of it they’ve really gelled as a trio, and have already written a bunch of really catchy songs. Besides that they’ve gone and gotten signed to Matinee Records, home of the Lucksmiths and Math and Physics Club among others. If you are fan of jangly pop songs, these guys will put a smile on your face. Matinee is releasing a four song ep this month, but I sure hope that they have a album up their sleeves, because I don’t know how long four songs will last me. Jangly pop like this is like candy and I find myself lapping it all up in one sitting only to look for more as soon as the sugar rush wares off. Four songs should last me, but I’ll be anxiously looking for that album. According to their myspace, they are currently recording songs for an album, so the wait may not be that long. A few from the Trashcan Sinatras, who buy the way are finishing recording their follow up to 2004’s Weightlifting. With any luck it’ll be out this year. Buy some Trashcan Sinatras albums here. And one more song from Swedes Popundret, who had a Smiths/TCS thing going on way back in 1996.